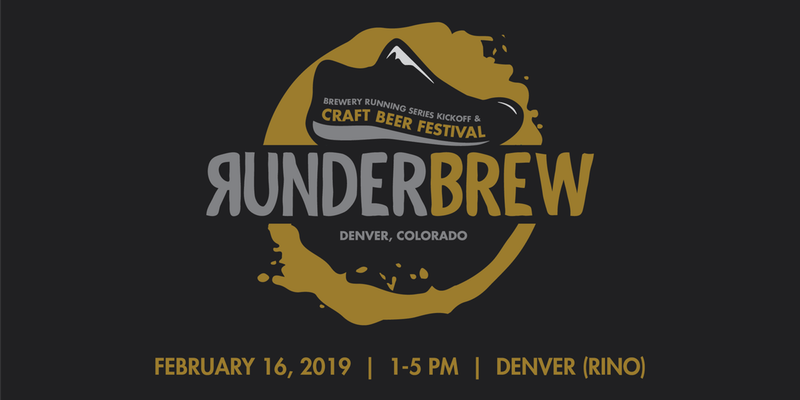 RUNDERBREW is all about what we love in Colorado – craft beer, running, & the community! Our first annual event will feature a craft beer festival along with a kickoff party for the 2019 season of the Colorado Brewery Running Series (5k fun runs starting and ending at local breweries). EVENT SCHEDULE: Saturday, February 16, 2019 General Entry: 2-5 pm VIP Entry: 1-5 pm Location: Number 38 in RiNo 3560 Chestnut Pl, Denver, CO 80216 WHAT YOU CAN EXPECT: Beer tastings from some of your favorite Colorado breweries Great, local, live music Fantastic discount deals on all 2019 Colorado Brewery Running Series 5k events (30+ from Mar-Dec 2019) Brewery Running Series deals, discounts, and an optional 5k run/walk SEE BELOW Awesome giveaway prizes Beer and running related sponsors Food Trucks And more! General Admission - $39 Includes entry to the event, a souvenir taster glass (while supplies last), and unlimited sampling VIP - $49 Includes one hour early entry, a guaranteed souvenir taster glass, and unlimited sampling This is a 21+ event only COLORADO BREWERY RUNNING SERIES: RUNDERBREW has partnered with the Colorado Brewery Running Series (BRS) for this event. BRS is holding their 2019 Kickoff Party as a part of the day’s festivities. Since 2016 they’ve been holding 5k runs at breweries across Colorado. You run, and then you drink beer, it couldn’t be more simple than that! From March through December 2019, they will be holding 30+ 5k fun runs at some of your favorite Colorado breweries! During the festival, BRS will be offering discount deals on merchandise and registration for all of their 2019 events, including single events, six packs, and Brew Crew season passes. Want to get some exercise before hitting up the RUNDERBREW Craft Beer Festival, and be entered to win some great giveaway prizes? Run/walk a 5k course along the Platte River Trail before entering the RUNDERBREW festival (the course route will be immediately adjacent to the festival)* Once inside the festival, stop by the Brewery Running Series registration table to show them that you completed the 5k run (Proof via mobile apps – Strava, Nike+, MapMyRun, etc.) Receive a drawing ticket for all of the day’s giveaway prizes (Drawings will be held at 4:30pm, and you must be present to win.) *There will not be an organized 5k start time like the normal Brewery Running Series events, but you can feel free to run the route anytime before entering the festival. Stop by the check-in desk at the festival for a course map (available starting at 11:30am), or run the route by searching your Strava app for the RUNDERBREW course segment. With Strava, you can run the segment up to a week in advance!! PARKING: There is street parking available on the nearby streets. There are also parking garages a few blocks away, located at 35th & Delgany and at 35th & Wazee. Please consider taking public transportation, riding your bike, taking an Uber or Lyft, or using a designated driver to and from the Fest. Users of UBER, Lyft & Taxis should be dropped off on Chestnut Pl, between 35th and 36th, and walk to the event entrance. Look for our informational email closer to the event. We will remind you of these details and share anything else you might need to know. Cheers to beers and see you at RUNDERBREW!